Over two days fishing in magic weather, 9 teams and 24 Junior or Small Fry anglers competed in the Exmouth Game Fishing Club’s 2018 Australian Junior Billfish Tournament. 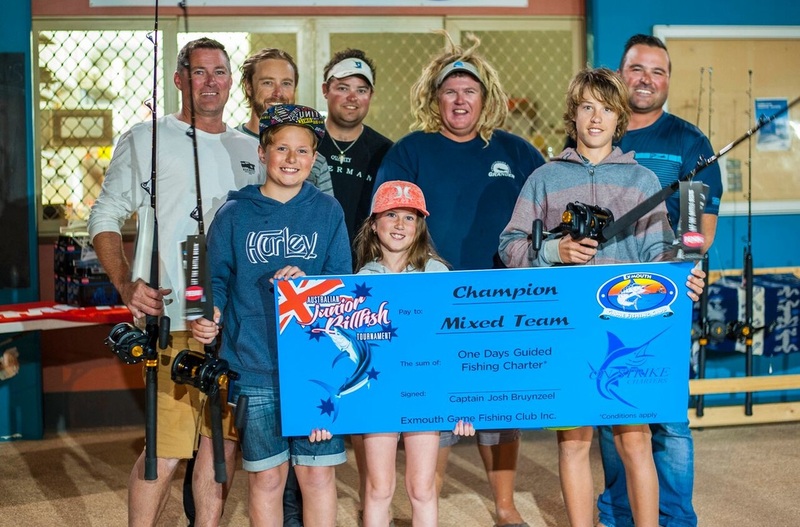 The September timeslot of this tournament makes it largely a light tackle tournament targeting sailfish and small to mid-sized black marlin through Exmouth’s easy access inshore grounds, just a couple of kilometres from shore. Although the weather was perfect, day one was extremely quiet by Exmouth standards, with just 6 fish raised for the day. Jack White on Teraliza tagged the only fish for the day; a small black marlin. Day two, however, brought an improvement to the fishing, with most boats having shots at black marlin and sailfish. Some fantastic line class catches were also achieved by the young anglers over the course of the day, highlighted by the estimated 60kg black marlin on 10kg caught by even year old Lochlan Turrell fishing aboard Seatrix. 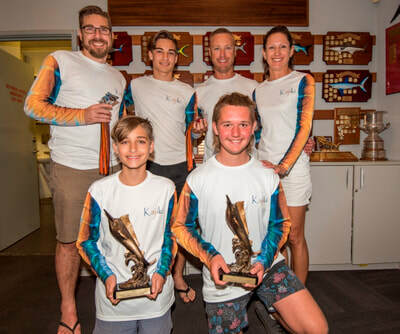 Lochlan and his family travelled up from Perth to fish the tournament, and had a trip to remember with Lochlan also weighing a 35.4kg sailfish on 10kg in the lead up to the event, which is a pending Small Fry 10kg record. Twelve year old Jaxon Kabelka and nine year old Declan Kabelka both fishing on Cin Bin also managed very respectable catches, each scoring matching 80kg black marlin on 15kg gear to put their team right amongst the leading boats. By the end of what was a very enjoyable tournament for all anglers their crews, the fleet had raised 23 fish, hooked 18 and managed to tag 7 black marlin and 3 sailfish. 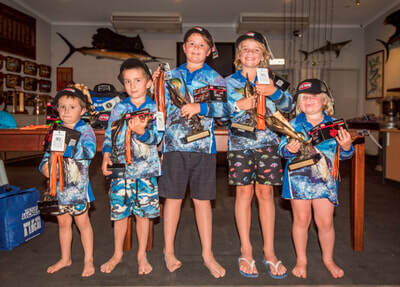 Champion Team Junior went to Kajiki with anglers Oliver Smith & Zac Niikkula, while Teraliza with anglers Max & Mia Grasso, Jack White, Kalvin & Dean Gates took out Champion Team Small Fry. 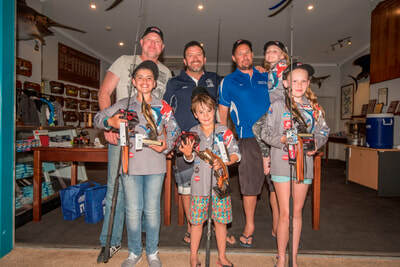 Champion Team Mixed was Seatrix with anglers Eloise Pugh, Lennox Farmer and Lachlan & Jasmine Turrell and their skipper Scott Turrell was awarded Champion Skipper. 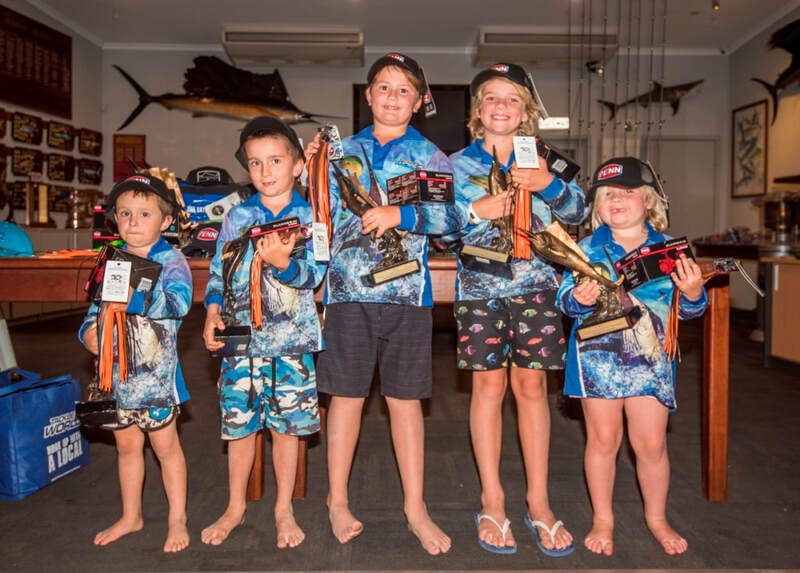 However, as a tournament designed to encourage and foster young angler participation in game and sport fishing, not a single angler walked away without a prize. 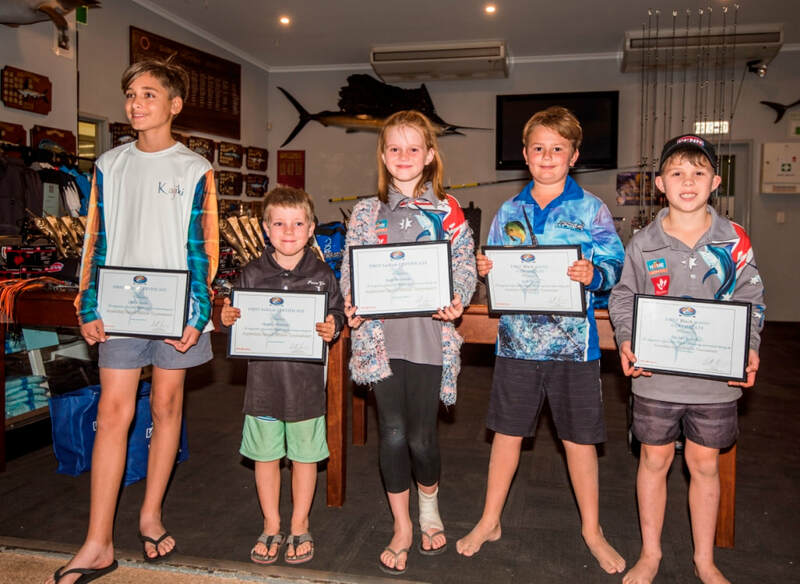 Special mention goes to Oliver Smith, Harvey Mitchell and Jorja Mossman who tagged and released their first sailfish during the tournament, and Jack White and Declan Kabelka who did likewise with their first black marlin. 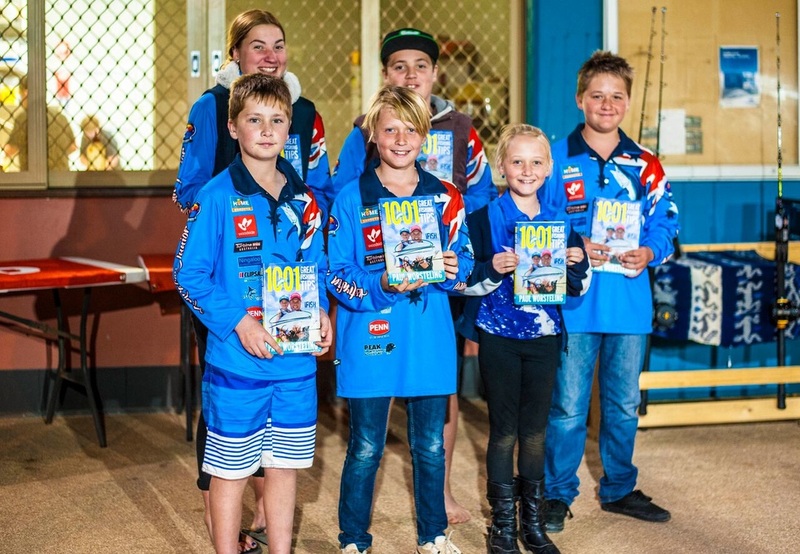 Well done to all the winning teams, but more importantly, congratulations to all the kids who competed. We hope to see you all back again in 2019! Australian Junior Billfish Tournament 2018 September 21-24. Entry form here and below. 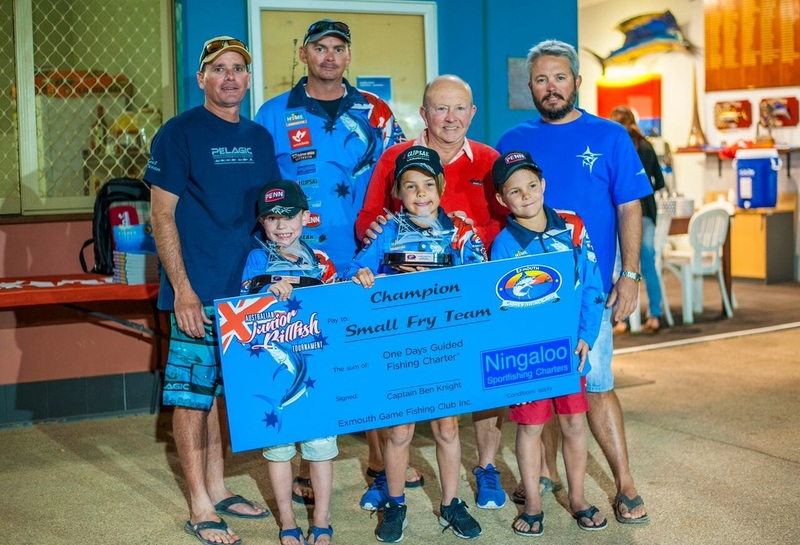 It was a tight finish with the runner up team for the mixed section (Sin Bin with Jaxon Kabelka and Lachlan Morton) tagging their fish to equal the points just eight minutes after team In Deep. A massive thanks goes to all the sponsors, Home Hardware, Woodside, Turbine Services, Penn, Tackle World Exmouth, Bonze Lures and Eyre Rods. Also thanks to the organisers and crews who help make this event happen for the kids. 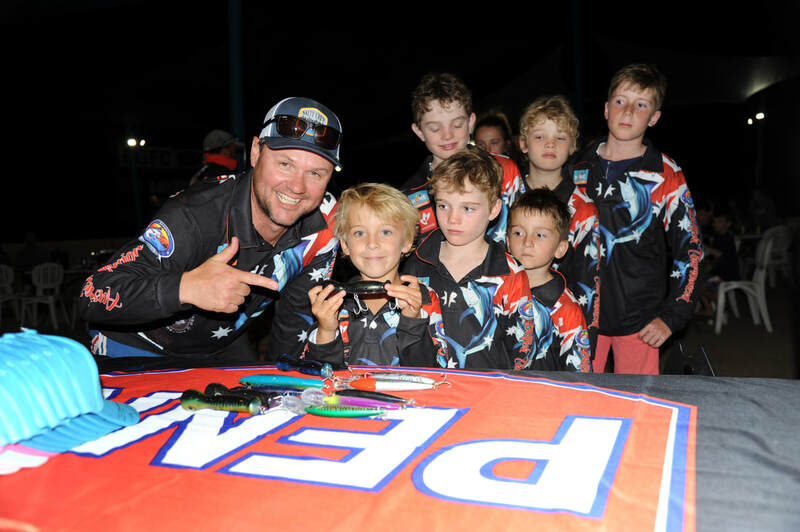 Some crews don’t even have their own kids, but offered their boats to take kids out with their parents to learn about the methods, fun, team effort and tagging program that we have for billfishing. 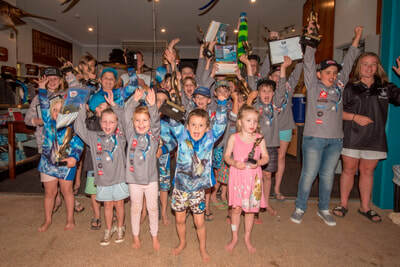 Every child that entered received a tournament shirt and if they didn’t win a trophy, they walked away with prizes, knowledge, knew skills, new friends and great memories. A big congratulations to all the kids that competed and got out for the two days to target these species. Book ahead for next year’s event that will be September 21-24, 2018 (long weekend for WA). Entry form ﻿here﻿ or below for entry form. 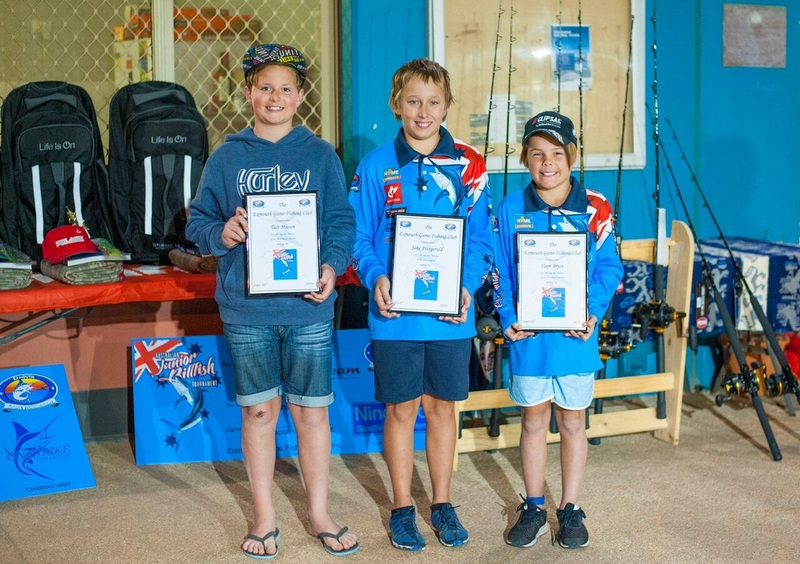 The 2016 Australian Junior Billfish Tournament (AJBT) was a great success. Captain Eddy Lawler won Champion Skipper, while Captain Ben Knight was runner-up. Interestingly, there were two kids with broken arms that fished and one with a broken collar bone! Despite the recent injuries, the keen anglers got out on the water in some testing seas and tagged some great fish. There were fantastic prizes for each section including days out on charter boats, Penn rods and reels, lures, caps, travel bags, signed books from Dr Julian Pepperell and Paul Worsteling, and of course some great trophies to take home. 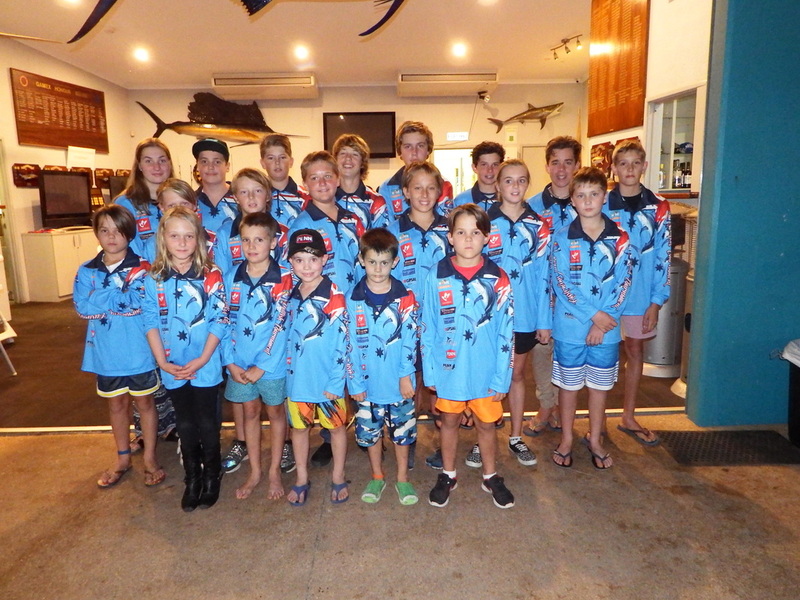 Every child received a shirt valued at $60 and entry was only $25, thanks to the sponsors of Home Hardware Exmouth, Woodside, Turbine Services Australia, Penn reels, Clipsal, Peak Sportfishing Adventures, On Strike Charters and Ningaloo Sportfishing Charters. 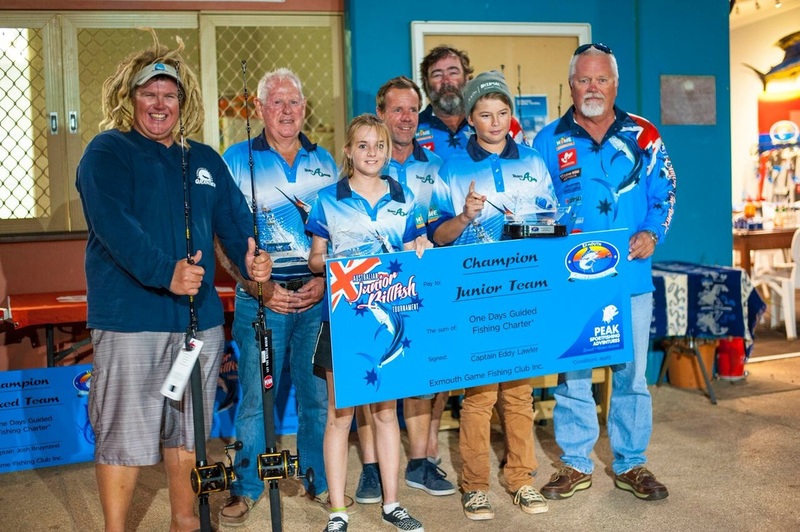 This event is well suited for juniors, with fishing grounds just minutes from launching facilities, plus a choice of sailfish, black, blue or striped marlin. There were boats available for juniors to fish aboard, so if you missed out this year, make sure you ask about the 2017 event, which is tentatively scheduled for the middle weekend (first weekend is Exmouth 50th celebrations) of the school holidays in September.